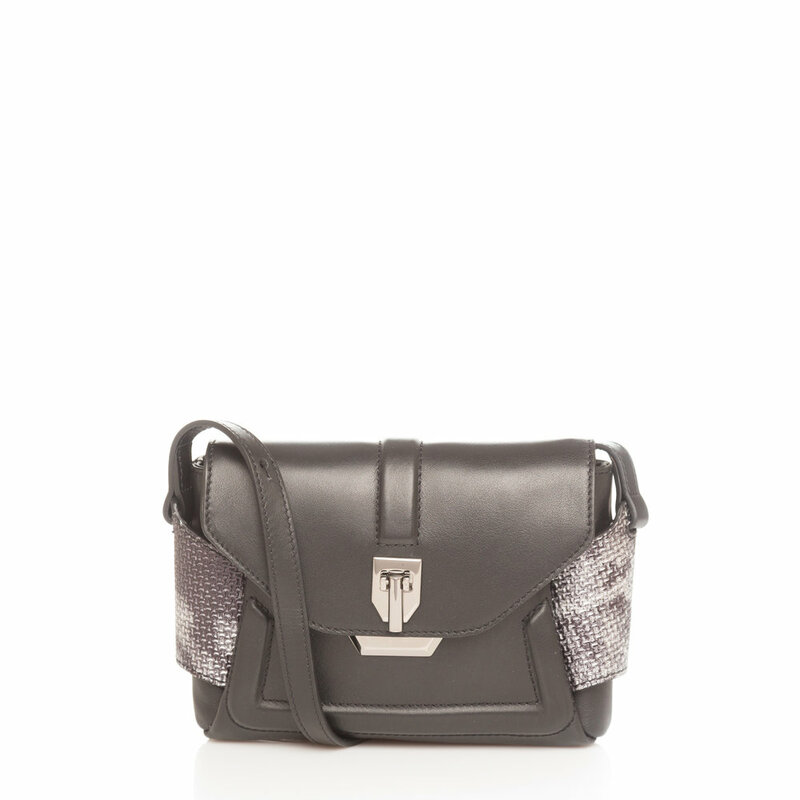 Jet pebble leather with nappa leather trim and gunmetal hardware. The Micro Messenger has a soft faceted flip lock, front pocket for easy access, an adjustable shoulder strap and is lined in cotton twill fabric. Fits the essentials from a wallet, cell phone, keys and lipstick making it the perfect day to evening handbag.